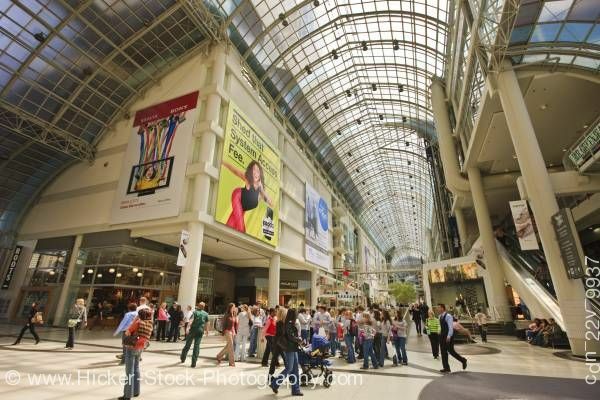 Stock photo of the busy interior of the Eaton Centre shopping complex in downtown Toronto in Ontario, Canada. Inside of the Eaton Centre with a crowd of people in downtown Toronto in Ontario, Canada. Interior of the Eaton Centre in downtown Toronto, Ontario, Canada. This stock photo shows the inside of the famous Eaton Centre with a crowd of people in the foreground, it also shows the size off the shopping mall as well as the unique architecture.